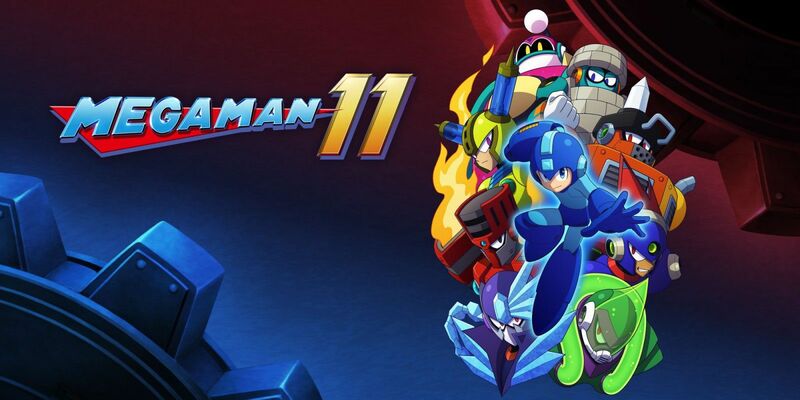 Mega Man 11 – The Blue Bomber’s Best! Having just come off the high that was the Mega Man Legacy Collection 1 + 2, I was prepped and ready to go for Mega Man 11. Both intrigued and sceptical by the absence of Inafune, I wanted to see where Capcom would take the beloved (and oft misguided) franchise. Already sold on the graphics, I steadfastly avoided the demo in order to savour the fresh experience. I’m glad I did! Side-by-side with its 10 predecessors, this one (currently) stands out as my favourite of all! The year is 20XX. Dr. Wily is once again humiliated amongst his peers, as his unique views on robots garner disagreement from the board of scientists, who instead side with Dr. Thomas Light. Seeking vengeance, Wily uses a fancy device to infiltrate Light’s lab and recruit some new muscle. With the help of Auto, Rush and Roll, it’s once again up to the Blue Bomber to save the day! The story is what you’d expect from the franchise. One of vengeance and justice that’s been retold with countless skins in the past. But it works! 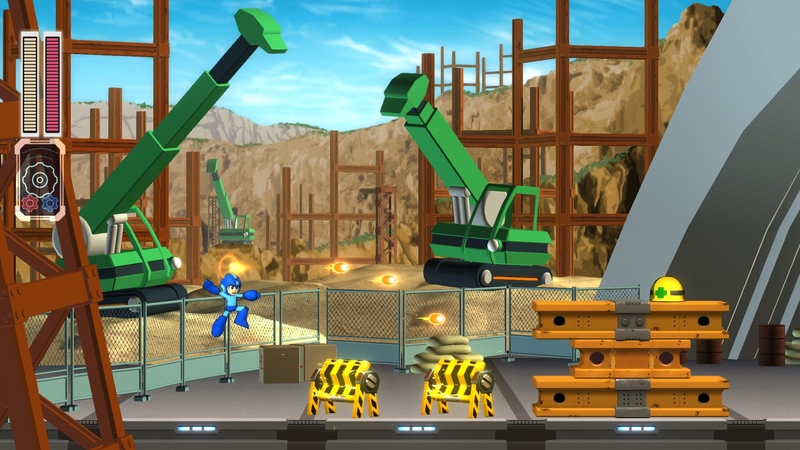 Following the tried and true formulas mastered in its youth, Mega Man 11 presents players with a wealth of familiarity. A choice of 8 new (ish) Robot Masters to choose from, each with their own rewards to your evergrowing arsenal (and slick new headgear to boot). A ‘greatest-hits’ moveset, consisting of jumping, sliding and Rush-Coil….ing to navigate the (fairly lengthy) levels. A suite of memorable mini-bosses including an inflatable Frog-bot, a hover-boarding elephant, and a Jamaican rust-afarian. And of course the dreaded (but expected) boss rush in Wily’s castle. It’s all the classic ingredients that we fell in love with all those years ago. But as much as we love those original recipes, a condiment or two is often a welcomed addition. And 11 offers a healthy dose. For example, each earned weapon adds not only a new flavour but a tactical element to your attacks. Those shielded enemies getting the best of you? Use the Block Dropper upgrade from the titular Block Man to rain down bricks from above. Want to send a few gigawatts to that annoying, out-of-reach, wall-clinger? Scramble Thunder, courtesy of Fuse Man, will work shockingly well. Getting bombarded by that onslaught of missiles? Acid Man provides this entry’s traditional ‘shield’ power-up, Acid Barrier. In adventures past, I frequently reserved my specials for the boss battles; but this game gave me that extra layer of strategy that had me rotating the roster throughout the entirety of the levels. Adding yet another fun complexity, is the introduction of the new Double Gear mechanic. Given to you right from the get-go, this tool will enable 2 special abilities: Speed Gear and Power Gear. The first, will give you a bullet-time slow-down, allowing you to beat certain enemies who have timed openings, catch runaway items that appear throughout the stage, or achieve tricky jumps that normally require some super-human reflexes. The latter, essentially powers up your weapons, adding an extra ‘mmmph’ for when you desperately need it. Careful though – abuse of either of these will overheat the device, and you’ll need to persevere through a panickingly slow recharge phase before you can use it again. Cleverness and efficiency will get you through, and you’ll be a pro by the time you ascend Wily’s fortress. When you’re not unloading your buster shots on Wily’s minions, you can use the Bolts you collected to purchase Items and Parts from Dr. Light’s shop. The standard fare of E-Tanks, W-Tanks and 1-Ups line the shelves, but inventory boosters and enhancement chips are also available, giving you some hard motivation to buy, buy, buy! Having half-a-dozen Energy Tanks at the ready was essential to get past some of those final stages, and while the practice-makes-perfect trope plays heavily throughout the game, these small respites are what kept me from snapping my joy-cons in half. I can confidently say that, graphically, this is the most attractive Mega Man we’ve got. Everything from the opening artwork, to the gorgeous, cell-shaded animations (especially those explosions), right down to the enemy designs – I was blown away. What was even more breathtaking, however, was the attention to detail. In Block Man’s stage, you traverse through a beautiful Aztecian city. While you spend most of your time sprinting through the ancient and modern dichotomy of its temples, the keen eye can observe your morning jaunt slowly progress to sunset, and ultimately to night upon arrival at the boss doors. Not only that, but the glyphs etched in slabs in the background show the Robot Master and his robo-baddies triumphing over the blue bomber. They’re subtle touches, but ones I thoroughly appreciated. I’m already gearing up (no pun intended) to have another go to see what else I can find. If you’ve played Mega Man before, you’ll be immediately familiar with the series’ staple mechanics. For newcomers, they’re easy and fun to master. Several difficulties are available to choose from, and coupled with a helpful checkpoint system, it makes this game accessible for players of all skill levels. It really is a platformer for everyone, and, in my opinion, a must play this year. Give it a try and be sure to head on over to the Cartridge Club forums to share your thoughts.